The Terminalia chebula tree is part of the grouping of plants called Myrobalans even though they are unrelated. 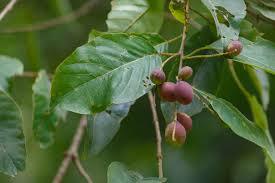 Included in that group are the following trees: Cherry Plum, Amla, Arjuna, and Bahera. The Terminalia chebula tree bears small fruits that are nut like, with ribs. These are harvested while still green, and then cured, pickled and boiled to make a preserve by adding jam sugar. The fruit is dried to make Haritaki powder. The seed is elliptical in shape with an abrasive feel. The fruit comes from different regions, with the most favored coming from the Vindhya Range of West Central India. These are less angular and more round than other shapes (Srikanthamurthy 2001). This video shows the seeds as they are being used for traditional medicine. As Haritaki is listed as the “King of Herbs” (2) in the Ayurvedic literature, you can imagine that its use is recommended for the treatment of most illnesses. In fact it is! Let’s explain why and then break down the different ways Haritaki is used to treat various illnesses. Haritaki has as a major property, the ability to cleanse the intestinal tract, and the whole gastro-intestinal system. This might sound fairly elementary as a property, however as we examine this in more detail, we see that when this system is clean then a great number of positive results take place. Blood oxygenation increases, which in turn affects the whole body, with an increase in energy flow (1) and optimal brain function. Along with increased energy flow, we see that the nutrients in the foods are more effectively distributed in the body. This results in a number of shifts as nutritional imbalances and the illnesses they create are resolved..,With optimal absorption of nutrients, the body balance comes back into harmony. People who are below normal weight gain weight. People who are above normal weight reduce to their optimal health. It is found that Haritaki (Terminalia chebula) has anti-bacterial properties. With Haritaki, bacteria in the stomach and intestines that is not conducive to good health is wiped out. Haritaki’s anti-bacterial properties appear also to enter the bloodstream and cause infections to be reduced in other parts of the body. 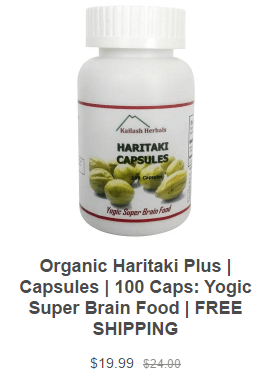 Haritaki has been recognized for centuries by mystics, saints and sages as essential for spiritual advancement. 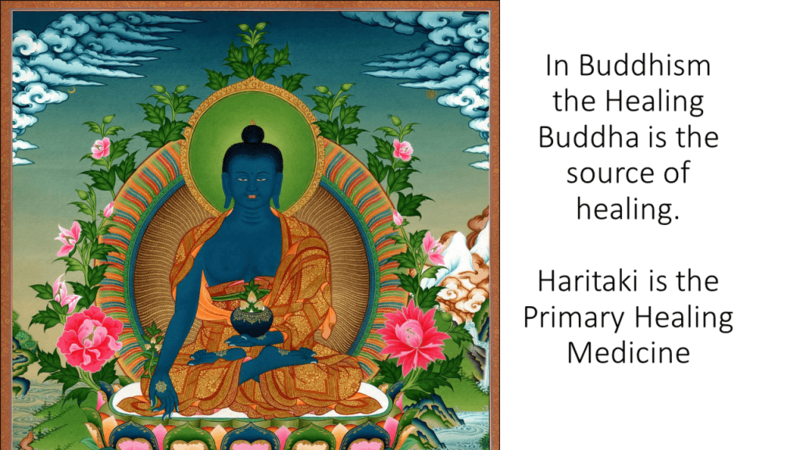 The medicine Buddha holds Haritaki in both his left and his right hand.